As reported in an article appeared on USNI News brought to my attention by Jared Smith, an aviation enthusiast and a reader of The Aviation Geek Club, on Aug. 8, 2017 an F/A-18E Super Hornet assigned to USS Nimitz (CVN-68) operating in the Central Persian Gulf has been harassed by an Iranian QOM-1 drone while preparing to land on the aircraft carrier. Noteworthy the Iranian unmanned aerial vehicle (UAV) flew at the Super Hornet and came within 100 feet vertically and 200 feet laterally, NAVCENT said in a statement posted on its Facebook page. 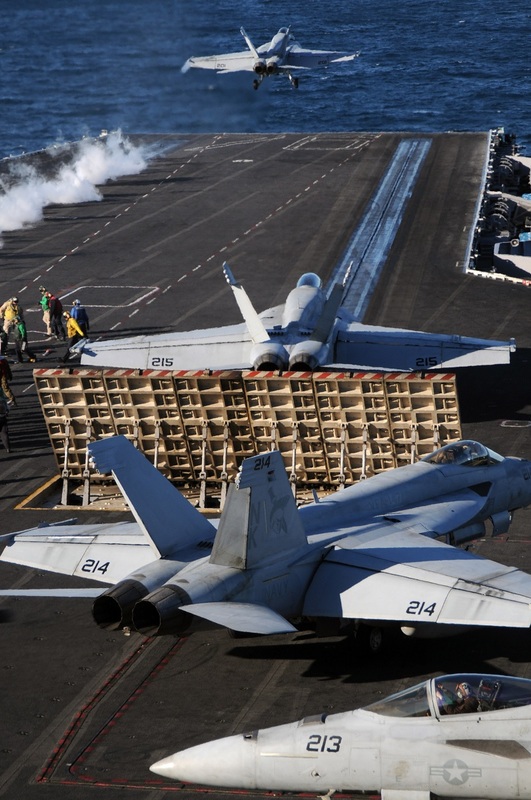 The Super Hornet maneuvered to avoid colliding with what a U.S. Navy official told USNI News was a drone of about about 14 feet by 26 feet. The Super Hornet assigned to Strike Fighter Squadron (VFA) 147 was operating in international air space at the time of the incident the official pointed out. 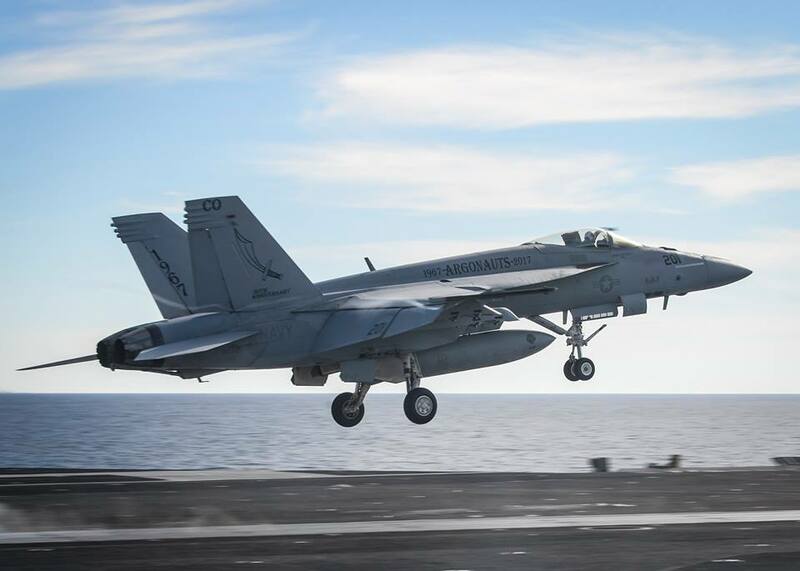 According to the NAVCENT statement, “despite repeated radio calls to stay clear of active fixed-wing flight operations in vicinity of USS Nimitz, the QOM-1 executed unsafe and unprofessional altitude changes in the close vicinity of an F/A-18E in a holding pattern preparing to land on the aircraft carrier.” Fixed-wing aircraft typically line up in a “stack” before making a final approach and landing on an aircraft carrier. In this formation, each aircraft flies a circle around the carrier but at different altitudes, and when the lowest-flying plane goes in for a landing, each remaining plane steps down to a lower-altitude flight pattern. According to the statement this incident is the 13th unsafe and/or unprofessional interaction between U.S. and Iranian maritime forces in 2017. Moreover as explained by CNN this is not the first time that Iranian drones operate unprofessionally while in close proximity to U.S. ships. In January 2016 in fact an Iranian drone flew over the French aircraft carrier Charles de Gaulle (R91) and the USS Harry S. Truman (CVN 75), both of which were operating in international waters in the Gulf at the time. That time a U.S. Navy helicopter intercepted the UAV and determined that it was not armed. That incident, which the U.S. Navy described as “abnormal and unsafe,” took place the same day that Iran seized 10 American sailors whose boats had strayed into Iranian waters.